A mathematical puzzle game contains guessing and problem solving elements. Math Riddles is a mathematical puzzle game contains guessing and problem solving elements, you will need to think and compute to clear the riddle. 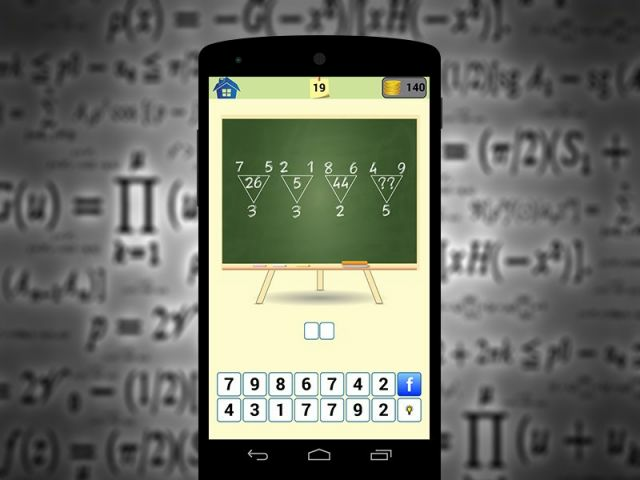 You had been tired with traditional mathematical game? You feel Mathematics is too easy for you? Do you have the confidence to challenge yourself on this mathematics game? Innovative game play awaiting your challenge. Test your IQ and proves that you are the king!